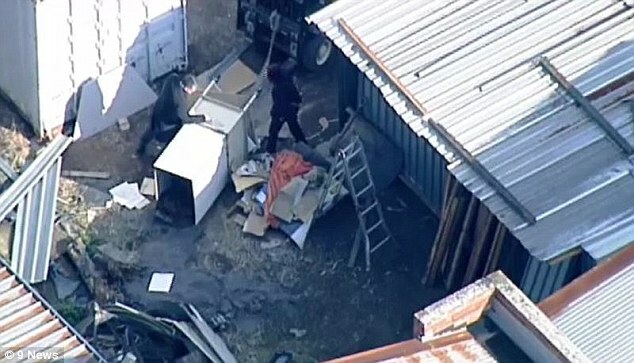 Human remains wrapped in plastic have been discovered at a factory in Melbourne. The grim discovery was made by a worker on Friday morning after he ‘saw two legs sticking out of the bag’. Detectives were called to the storage factory in Oakleigh South, in the city’s south-east and have launched a murder investigation. A worker told the Herald Sun: ‘The factory was recently sold and people cleaning it out today made the discovery. ‘They saw two legs sticking out and was told the body was there for five years. The publication reported police believe the remains could be the body of someone who was murdered. Victorian Police told Daily Mail Australia they were not able to confirm that a body was found, only that suspected human remains had been discovered. ‘Police are investigating after suspected human remains were located in Oakleigh South on Friday morning,’ they said in a statement. A crime scene has been established and tests will be performed to determine if the bones are human and if the death is suspicious.